Crowds flocked to Bicester Heritage on Saturday 23 June, for the opening day of The Classic & Sports Car Show in association with Flywheel. 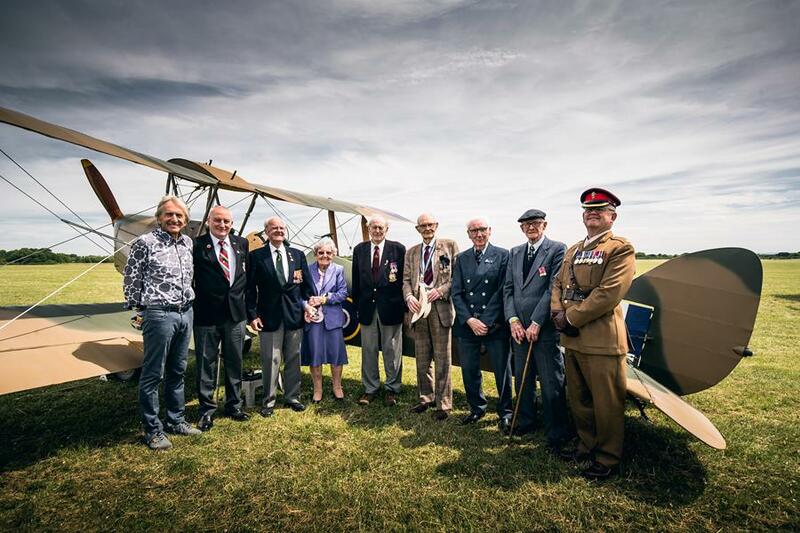 As well as hosting a huge array of classic road and competition cars, bikes, vintage aircraft and military machines in the Oxfordshire sunshine, the event was attended by six World War Two veterans in honour of the centenaries of the Royal Air Force and the end of the First World War. RAF veterans Maurice Marriott (aged 93) and Eddie Habberley (aged 95), both from Duston in Northamptonshire, returned to the skies in Tiger Moth aircraft above Bicester Heritage, a former WW2 RAF bomber station. The pair had both trained in the aircraft during their time with the RAF. Also in attendance, thanks to the support of the Royal British Legion Duston & District Branch and the Royal Air Forces Association, were Martin Calvert (92) of the Scots Guards, from Rothersthorpe; Edward ‘Ted’ Barker (95) Sub Lieutenant on HMS Arbiter, who lives in Church Brampton, and husband-and-wife pairing of Dennis (93) and Joan Wells (93) from Dallington, who acted as wireless operators and a clerk and typist. Alongside the incredible Tiger Moths, an array of vintage aircraft were on static display and took to the skies for demonstrations during today’s show, including the Royal Air Force Battle of Britain Memorial Flight (BBMF) Dakota, the Bremont Great War Display Team and the BBMF Spitfire, Hurricane and Lancaster. 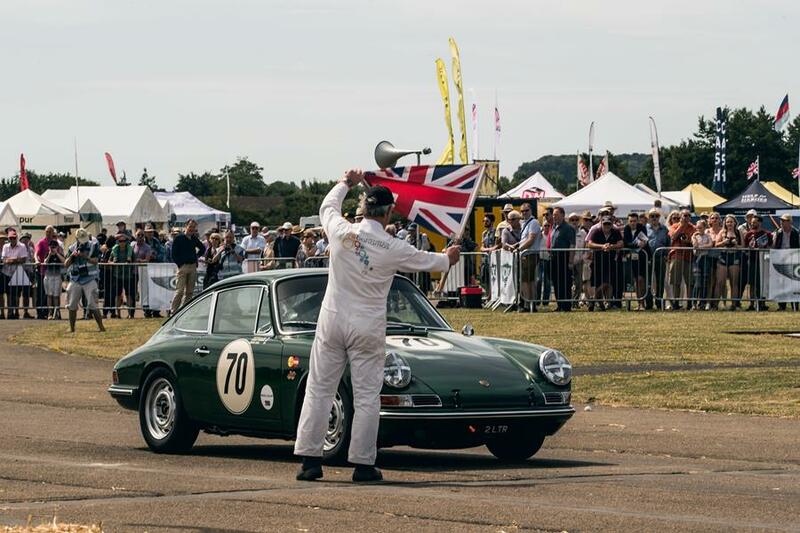 On land, Le Mans legend Derek Bell MBE wowed the crowds by demonstrating a 1965 Porsche 911 2-litre race car. The British racing star, who has won the Le Mans 24-Hour Race five times, the 24 Hours of Daytona three times and the World Sportscar Championship twice, met with show visitors and signed copies of his new book, Derek Bell: All My Porsche Races. Alastair Clements, Classic & Sports Car magazine's Editor in Chief, said: “It’s been a fantastic first day of the Show, with so much action for people to see on track and in the skies. A huge amount of care and attention has gone into curating the collection of vehicles showcased – be they classic cars, planes, military machines or motorbikes – and we’re delighted to have welcomed so many visitors to admire and enjoy them. “It has been particularly special to have incredible WW2 veterans join us, and seeing them return to the machines that they consider old friends has been very touching. We look forward to welcoming more visitors to the show tomorrow to join the festivities in the Oxfordshire sunshine,” added Clements. The Oxfordshire countryside reverberated with the sound of engines today, Sunday 24 June, for the final day of the Show. We are honoured to welcome Wing Commander John Francis Durham ‘Tim’ Elkington to the Show.